How's your community group doing? Some are struggling for volunteers, seeking funding for projects or staff, wondering how to best market their work or events. Many are seeking physical space, skills, or structure that would enable them to thrive. LINK is here to help! This will be the first of a series of sessions on building resilient community groups -- focusing on the basics of an efficient organisation. We will introduce these concepts and get your feedback on the opportunities and challenges you see. Our special guests this month are QLDC staff who have recently conducted the QLDC Community Groups and Facilities Survey. While the final report is being finalised, they will share the key themes that are emerging. 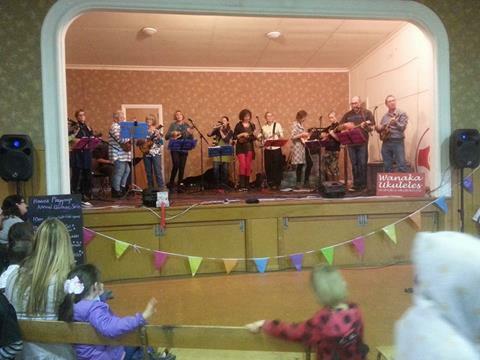 Please join the conversation about the support Upper Clutha community groups want in this era of stretched resources and social media. LINK plans to follow up with a half-day workshop to strengthen any community group looking to refresh its approach or build skills. Friday 9th November, 11.00am-12:30pm, Wanaka Hotel, Ardmore Street. RSVP to jo@link.org.nz or 021422295. Have you completed the QLDC Quality of Life survey yet?? If not jump online and be sure to have your say about anything and everything to do with life in this district. Growth, environment, affordability, safety, facilities, services, transport, parking, community belonging -- these are all issues Council wants your opinion on. There are plenty of open-ended questions to share whatever issues are most important to you. The data will inform Council planning and decisions, so don't miss your chance to contribute. 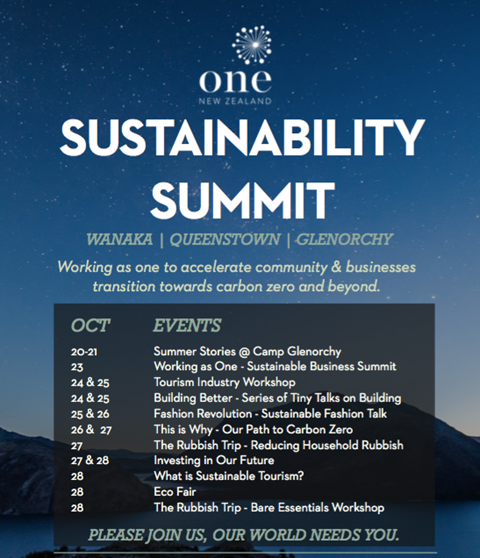 The inaugural One Summit festival is underway, with events and workshops in Wanaka, Glenorchy and Queenstown, covering a range of topics including climate change, sustainable business, tourism and fashion. There's lots left to attend, through October 28. The One Summit aims to highlight the connections between community organisations in terms of sustainability and to acknowledge our active, engaged community who are ready for change.